What is the Colleges Advisory Program (Colleges)? The Colleges is a learning community of students and faculty, dedicated to supporting medical students’ professional growth, career development and well-being. 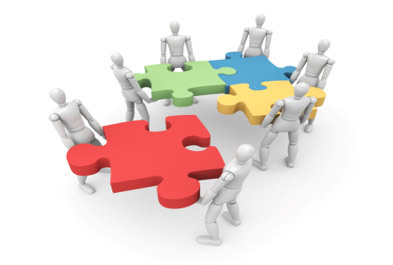 The Colleges values collaboration, interpersonal connection, and longitudinal advising relationships as the means to support caring attitudes and commitment to excellence in the practice of medicine. The Colleges strives to enhance the social context for learning to become a physician by establishing a relational community to optimize the environment for learning patient-centered and relationship-centered patient care. We invite involvement by students, faculty and all members of The Johns Hopkins University School of Medicine (JHUSOM). The Colleges was founded in 2005 by former Dean, Dr. Edward Miller, Dr. David Nichols, former Vice Dean of Education, Dr. Pat Thomas, Associate Dean for Curriculum, Dr. Tom Koenig, Associate Dean for Student Affairs, and Medical Student Senate leaders. Prior to its founding, SOM students expressed a strong desire for enduring relationships with faculty, as well as assistance navigating the complex “road map” of a career in medicine. Given the very real risk of social isolation during the many hours of training and rigorous study, forming a greater sense of community and connectedness among students and between students and faculty became a foundational goal of the Colleges. Daniel Nathans, winner of the 1978 Nobel Prize in Medicine for his discovery of the biochemical scissors that cut DNA, was a mentor to generations of Hopkins physicians and known for his leadership and service to the Hopkins community. Florence Sabin was a renowned pathologist and anatomist who made significant contributions to medicine and public health, and became the first woman to hold full professorship at the School of Medicine in 1917. Helen Taussig is honored not only for her pioneering work as a pediatric cardiologist, but also for her tireless dedication to her young patients, her clinical teaching, and her inspiring ability to overcome deafness to become a master clinician. Vivien Thomas, a masterful surgical technician and one of Hopkins great unsung heroes, he helped develop the ‘blue baby’ operation, he overcame hardship to devote his life’s work to advancing medical science and served as an invaluable teacher to the country’s most prominent surgeons. Each of the four colleges is populated by 30 students from each class (120 students across 4 years) and 6 core faculty. Each College is led by faculty and student leaders. Students are grouped into units of 5 with one dedicated advisor, termed the “advisory molecules.” In addition to ongoing individual meetings between students and advisors, the molecules function as longitudinal learning teams in the Year 1 Clinical Foundations of Medicine course, and remain in connection over their four years to reflect and dialog about important learning experiences that impact their professional identities. Each College hosts an array of social, community service, and peer advising events to foster informal connections and support among peers. The Colleges also sponsors a spirited and competitive Olympics each fall, and a variety of career advising programs at key transitions and milestones across the four years. The second floor of the Armstrong Medical Education Building is the Colleges’ geographic home, and each of the four Colleges has a dedicated multi-purpose space on this floor for student use. Incoming students meet their faculty advisors on their arrival at Orientation, and subsequently see them for advisory meetings and informal get-togethers. Advising in the Colleges is a student-centered process, helping students forge their career path over 4 years, incorporating a broad sense of one’s personal interests, vision, and strengths, as well as personal growth through defining experiences in medical school. Advisors typically support students in their initial adjustment to medical school, teach and provide modeling in foundational skills of doctoring, support their scholarly interests, discuss academic performance, connect them to specialty mentors, help with scheduling decisions, and coach students through the residency application process. The 24 full-time JHUSOM faculty serving as advisors make a 3-5 year commitment to this program, devoting 20% effort in their roles as longitudinal advisors and teachers to 20 students (5 in each class). 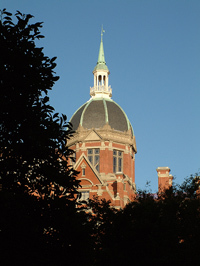 These faculty members are drawn from the East Baltimore and Bayview campuses, holding positions in the Departments of: Anesthesiology/Critical Care Medicine, Emergency Medicine, Internal Medicine, Pediatrics, Psychiatry and Surgery, with a wide range of subspecialty expertise.